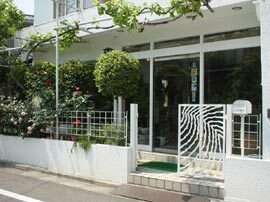 Shirakiya Inc. was established in 1971 and specialized in dealing authentic Japanese style dinnerware. 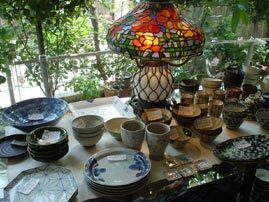 Today it has grown into an international company that not only continues the fine tradition of supplying Japanese style dinnerware, but also deals with imported furniture and a variety of other interior goods, including Louis C.Tiffany's stained glass lamps & art reproductions. In Fall 2005, we've started a new division besides in children's apparel. 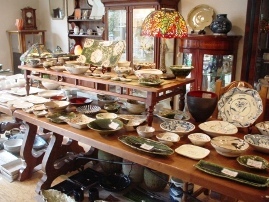 Over the years, Shirakiya Inc. has developed an outstanding reputation in the handling of a large variety of dinnerware at excellent prices. Nowhere else can you find this type of quality and customer service for the price. Many of our pieces are hand crafted and painted, with each dish having some unique quality to it. At Shirakiya Web Shop, we introduce our new "Breeze" series (white/celadon porcelain), which have a slightly pale green tint to them. We also carry mass produced printed items, in a multitude of patterns and designs at our store in Setagaya. Please take the time to fully browse our site and you may contact us with any questions you may have. At this time, we can only accept orders through e-mail, fax, or phone . . . however we hope to have our online ordering service up and running in the near future. Currently we are limiting our shipping to within Japan with plans of expanding internationally at a later date. You may reach us with any questions by using the email link below or by calling us at (03)3429-5553 where an English speaking representative is available. * We are often closed during our regular business hours due to deliveries. * We recommend that you to call prior to visiting our store. Our store is approxmary a 30 min. bus ride from the Shibuya station and two minutes walk from the Okura Land bus stop. Please see a map for further direction.